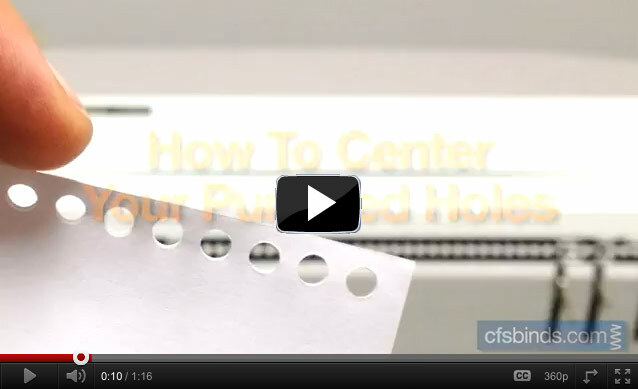 Once of the common challenges that you may tend to experience when punching your booklets for binding is getting the punched holes to be centered. Ideally you want to have equal space from the last holes to the edges of the sheet. Having to figure out which direction to adjust your punch’s side guide (paper stop) can sometimes make even the most experienced bindery operator feel like they need a rocket science degree. Well, fret no more – we’ve prepared the following video to demonstrate the easiest way to center holes when you use a punch. Do you have a handy, quick tip for your book binding tasks? Feel free to share it in the comments below. Downsizing – seems to be the theme of life since the Great Recession, right? My father would call it ‘right-sizing’, and I’d probably agree. We’re all trying to cram the same stuff into smaller spaces – trying to do the same work with fewer people. What a joy. Last year, as part of our ‘right-sizing’ efforts, my family moved into a smaller home. No big deal really, but we went from a three-car garage into a two-car garage. Now we don’t own a third car, so that extra stall was always used for stuff – kids bikes, toys, etc. – scattered all over the place. Losing that space forced me to clean house and take a far more organized approach to my garage. So when my weed trimmer, edger, and leaf blower all died at the same time this Spring, I went on a mission to consolidate. What I found was a multifunctional power head that allowed me to attach all three options to the same motor. It was far cheaper than buying the individual units, it works great and saved me a ton of space. That got me thinking – where are the opportunities to consolidate in the Quick Print industry? Better yet, where can you consolidate AND gain opportunity to grow at the same time? 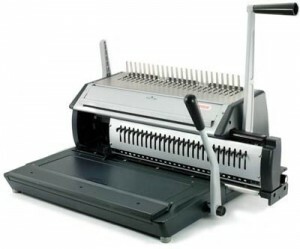 If you already work in a print shop, chances are you have a bindery table with a variety of binding machines on it. Or maybe you’re in an office environment that’s used the same comb binder for 100 years. Question is: What will you do when it’s time to upgrade? Rather than buy a single punch that offers one type of bind, why not upgrade or consolidate to a binding punch that punches EVERY type of binding pattern? Options range from the economical VersaBind-M to the extreme, heavy-duty HD7700, and all offer multiple punch patterns in a single machine. Diversify – why not offer coil, comb, wire and velo binding? Save space – clear that table and replace it with a single punch! Prepare for the future – when a new binding style comes out you only have to purchase the new die! This may not help to clean-up your garage, but it sure could clear up some clutter and introduce some new business capabilities in your print shop! What are some of the things that you’ve done to consolidate the workspace in your production facility?